Elektromontaža utilizes its half-a-century long experience to adapt to contemporary trends in the industry and improve capacities to meet all the needs of our clients. 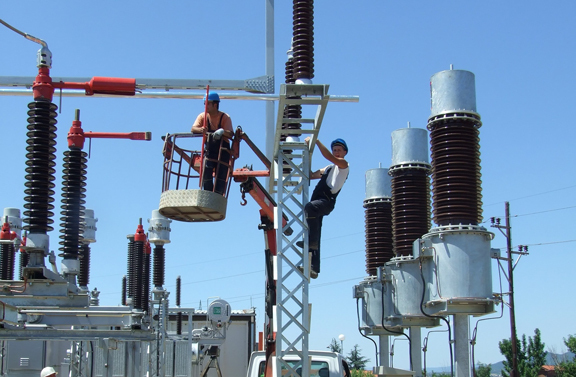 Therefore, besides providing full cycle services (from engineering to construction and maintenance), we have developed our own production lines of predefined substations and steel lattices and towers, made up to the latest trade standards. We have also developed our own medium voltage laboratory for testing electrical insulating equipment before its on-site use, thus ensuring the safety of our employees and of the installed gear. Our production facilities also feature a special workshop for the overhaul of primary electrical transformers, where we maintain, repair, and test transformers of up to 12000 kVA, 35 kV.